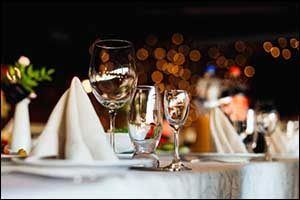 While most people have planned a small get-together or party at their home, a restaurant, and maybe even a professional venue, very few have had the experience to plan large social gatherings and special occasions for hundreds of guests. Getting organized is a big part of planning a successful party at a local South Coast event venue. However, the most significant obstacle is often finding a Massachusetts banquet facility that can accommodate you and all of your guests. Whether you are hosting a birthday party, anniversary party, sweet 16, Quinceanera, retirement celebration, wedding reception, or a corporate awards dinner, figuring out where to host the party is the first thing that you should do. The last thing you want to do is invest a lot of money into renting a venue just to have a bad experience. It pays to do your research, visit the location, and get references from people who have used the facility in the past. When you plan a party in Swansea, New Bedford, Fall River or anywhere in the Southeastern Massachusetts and Rhode Island area, you will want to choose a South Coast event venue that not only has enough space for your guests but one that has the amenities and service you require. Venus de Milo has over five decades of experience serving clients throughout the northeastern region. We have hosted large-scale corporate events, community gatherings, charity banquets, wedding receptions, and a wide range of other parties and celebrations at our venue. We are considered by many to be the premier venue for social gatherings and special occasions, providing the perfect setting, top quality service, a versatile catering menu, and attentive staff required to mark any occasion in a memorably way. Unless you have a large brood of 20 grown children with spouses and dozens of grandchildren, the chances are good that your large scale party will extend well beyond your close family members. When you add in the family, extended family, friends, co-workers, neighbors, and other acquaintances that you want to celebrate alongside you, the number can grow pretty quick. Most South Coast event venue locations charge per guest, including the space, staff, setup, amenities, and any catering that you want to include. Additional services can be added or hired through approved vendors, depending on your needs. Birthdays, anniversaries, retirement dinners, baptisms and Christenings, Bar Mitzvahs and Bat Mitzvahs, Communion and Confirmation parties, graduation parties and ceremonies, sports banquets, awards ceremonies, proms and other formal dances, community fundraisers and galas, family reunions, memorials and repasts, sweet 16 parties, Quinceaneras, and many other special milestones have been celebrated at Venus de Milo. Choose from breakfasts and brunches, lunches and dinners, cocktail receptions and buffet service to provide your guests with a delicious menu and array of beverages during the party. 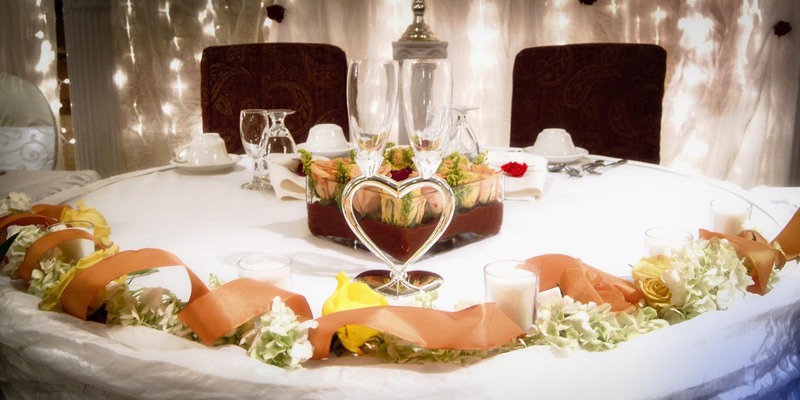 When you plan a party in Swansea at Venus de Milo, our staff will help you choose the perfect menu from a wide variety of offerings and even assist you with celebration cakes, candy tables, chocolate fountains, or anything else you want to include. Work with one of our highly trained and experienced social event coordinators at our Massachusetts banquet facility to plan a large scale party that no one will ever forget. If you are interested in planning a party at our South Coast event venue, make sure to give us a call right away to schedule a tour and check on availability. We are located on Route 6 in Swansea, Massachusetts and our facility is capable of handling guest lists up to 1,800 in one of seven distinct ballroom and party room spaces. Call today to get a FREE estimate or plan your trip to tour our well-appointed facility for your social gatherings and special occasions. Our team of friendly event coordinators, culinary experts, and other well-trained staff members are here to serve you and your guests to create a memorable experience. Give us a call at 508-678-3901. We can answer any questions that you might have about our facility or availability and help you choose the best space and timing for your special event.